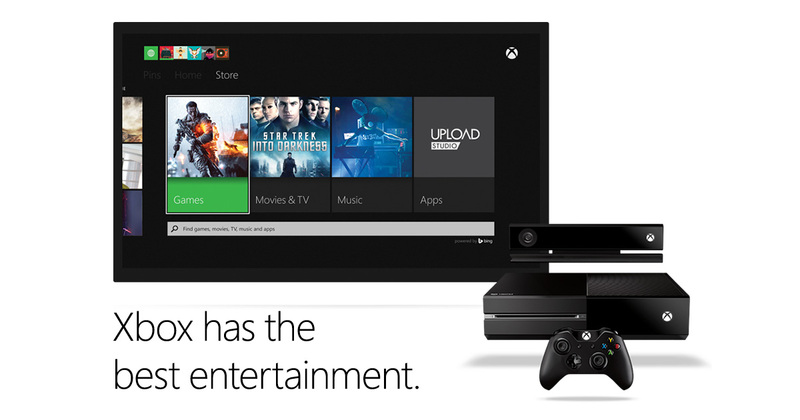 The Xbox One’s television-gimmick was unfairly dismissed. Back at E3 2013, everyone pooh-poohed the Xbox One. Perhaps it was the TV, TV, TV, TV, sports, sports, television, television, TV, sports. After all, it’s supposed to be about the games, right? Surely a box under the TV that can do everything you need should only play bloody games, right? Almost five years later, I decided to drop the ~$300 on an Xbox One S. I didn’t buy it to play games though. I had recently read in The Verge that Kodi had been ported to it and released in the Microsoft Store. While in the past I was a more 1337 (that is leet) gamer, today my passion is watching movies and TV (mostly TV). Usually on Blu-ray, though sometimes on Netflix. My previous set up was quite beholden. I had a Telstra TV that my parents got included in the broadband bundle, a Foxtel IQ2, a DVD/VHS Recorder I took home from school when they left it outside (it would’ve been rained on had I not taken it, the department head said it was OK), and an otherwise unused PS3 purely for watching Blu-ray. The idea was to take the Telstra TV and PS3 out, and have my Xbox serve their purposes and use its HDMI-in to connect my DVD recorder and Foxtel (even though it was an IQ2, the recording functionality was disabled – I think because its multiroom). I purchased the Xbox One S from JB Hi-Fi in a bundle that came with a bunch of Minecraft-related stuff (Minecraft itself, which I already had, as well as this wanky-looking Story Mode Telltale-thing that I never heard of) and two Ubisoft games (The Crew and Steep). I also bought Destiny 2 since my friends were quite hyped for it and I could get it for $10 off with the console. I went next door to EB Games and bought a third-party media remote for the console (the Talon Media Remote). I can home and began clearing out the old set-up. I use an Ikea bookshelf as a makeshift entertainment unit. On top is my TV, first shelf was basically everything. The Telstra TV was attached to the underside of the top plank of the shelf with picture-hanging strips to keep it out of the way of the DVD recorder, Foxtel, and PS3. The shelf had more dust than sand on a beach. The poor set-tops had no breathing room. Especially the Foxtel, where the ventilation holes were on top – the PS3 was suffocating it. It put the PS3 and Telstra TV aside and moved the next shelf down up a bit so I could put the recorder and the Foxtel there to give my new Xbox some room. Expecting a cheaper finish, I was surprised at the build quality of the Xbox One S. I was disappointed that the slimline revision lost the original’s VCR-like aesthetic but liked that (without cables plugged in), it fit perfectly on my shelf. No overhang. I plugged in my Xbox One to the TV, my recorder to the Xbox over HDMI and the Foxtel to the recorder through Composite (I didn’t have access to the HD channels anyway, so who cares?). I powered on the Xbox, I had a few false starts. First-time, I had the wall-end of the power cable unplugged. Second-time, the Xbox-end fell out somehow. Regardless of how it happened, it turned on. As is typical for any new smart AV equipment, I had to wait an hour for it to update. I then had to sign into Xbox Live. I hadn’t used Xbox Live pretty much since the original Xbox One came out, on my brother’s console. As such, I had forgotten my Xbox Live login. Apparently it uses an email address I don’t often use, but luckily my main was the recovery email so I could eventually log in. I then realised that the password for my Xbox account was already saved in my Lastpass making the entire 30-minute reset ordeal rather superfluous. I was in and my new Xbox was ready to become my new media centre. I immediately went into the store and downloaded YouTube, ABC iView, Netflix and the Blu-ray player. It was during this process that I observed the sheer lack of free-to-air apps for the platform. Of the major broadcast networks – ABC, Nine, SBS, Seven and Ten – Three have apps on Xbox (ABC, Ten and Seven). Of the three that do have apps, it seems only the ABC maintains their Xbox app. Both Seven and Ten’s apps look like they haven’t been updated since they first released, more reminiscent of Xbox 360 apps than modern Windows 10 apps. Ten’s app is allegedly (I haven’t tested it) as buggy as one should expect an app that hasn’t been updated in almost five years ago to be – some users have complained that it shows more ads than it does actual content. The ABC app is also outdated (it still refers to ABC Comedy as ABC2 and ABC ME as ABC3) but is otherwise completely functional. As far as I could tell, Seven’s app was fine. Remarkable, since it looks that Seven hasn’t updated the app since its first release. As for the SBS, their On-Demand website works in the included copy of Microsoft Edge like it would on desktop. Not ideal, but functional – more than could be said for Ten. I assume this means any HTML5 based website could work, making pinning 9Now to my home screen an option if I cared enough. Now that I had a basic set-up, I wanted to get my new remote working. I was surprised to find that, according to the manual and YouTube videos I had looked up to check, the remote required no set up to work. This left me confused, as I had put the batteries in and it wasn’t working. The batteries in the box were dead-on-arrival. It took me about 20 minutes too long to realise this. The no setup required promise was finally met when I put in fresh batteries. The remote lights up when you move it, which is both cool and functional. I opened the OneGuide app and set it up to passthrough the HDMI signal, which was then the DVD recorder. The set up allowed me to boot the Xbox straight to TV mode and turn on the TV using my new remote. Unfortunately, it seemed the processing that the Xbox was doing to the DVD recorder’s processing of the Foxtel’s signal was causing a lot of lag. The audio was all at the wrong pitch and I think it was out-of-sync. I eventually cut my losses and cut the DVD recorder from the chain, plugging the Foxtel into the Xbox directly. I eventually worked out how to setup the app so I could use the remote with the Foxtel directly. Strangely, the Xbox app provides a better (though less tactile) remote than the physical remotes of Microsoft or Talon as the app can type in channel numbers and navigate guides which strangely my remote can’t. The lack of proper Foxtel support for OneGuide is annoying and I thought that it could be attributed to Foxtel trying to push their Foxtel Now service. However, like the free-to-air broadcasters, the Foxtel app is outdated – still being referred to in the store as Foxtel Play and using old logos. There doesn’t seem to be any reason why this support couldn’t be implemented. The Xbox can change the channels on the Foxtel and as addressed above it can even type in channel numbers, so why a macro-style EPG couldn’t be created is unclear. The lack of demand for OneGuide support may be the killer for Foxtel listings. It’s really a shame that people so quickly dismissed the potential for the Xbox One to be a killer media centre. The functionality that is there is incredibly useful. I’m happy with my purchase and hope that Microsoft tries this concept of a central media device again next generation. I really liked this article. Well done, it was really good and engaging.